Florida Keys Realty Group, LLC. is a group of seasoned realtors with over 30 years of experience. They specialize in real estate sales, real estate purchases and real estate rentals for the Upper, Middle, and Lower Florida Keys. This website was custom designed per specification. It features a beautiful homepage with a clean sidebar with all relative information. The homepage is connected to a fully integrated MLS IDX property search function. Users can navigate the MLS and search for available properties using numerous search filters. Featured listings are showcased throughout the website and contact details, call to actions, and contact forms are prominently placed throughout the website. 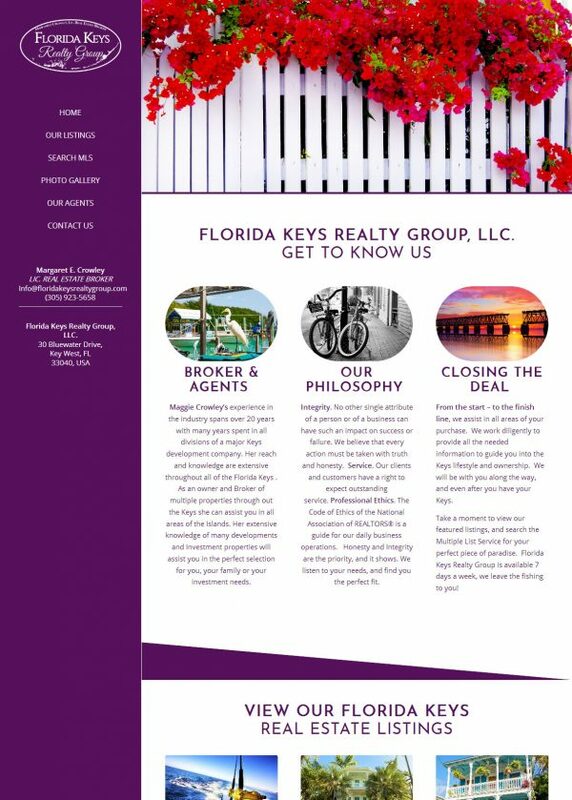 CLIENT Florida Keys Realty Group, LLC.